sound stimulus | O’HARA & CO.,LTD. 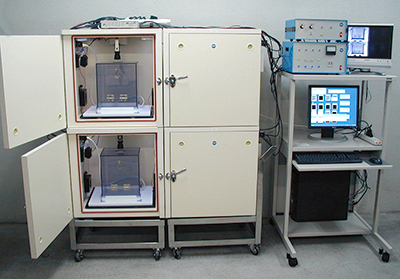 In this system, the amount of freezing can be automatically measured by image analysis. Furthermore, by capturing the images from directly above the subject, there is a reduction of missed analysis in freezing in each test. There are two types of experimental boxes, one for conditioning and contextual testing and the second for cued testing. Each box is placed in a sound attenuating chamber to control environmental conditions. 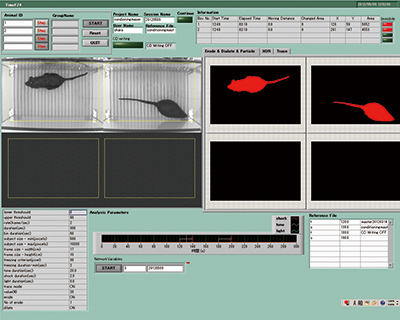 The software automatically applies the conditioned and unconditioned stimulus while simultaneously recording freezing. This entry was posted in Products and tagged sound stimulus on 7月 23, 2015 by admin.